Moon Invoice is a simple, slick and handy invoicing app that lets you generate, manage and track the invoices on the go. It is a complete invoice solution that allows managing invoices, viewing invoices, purchase orders and managing tax overheads in an easy to go way with its professional and impeccable interface. In addition, stay safe and put your data-backup worries aside with iCloud sync support. 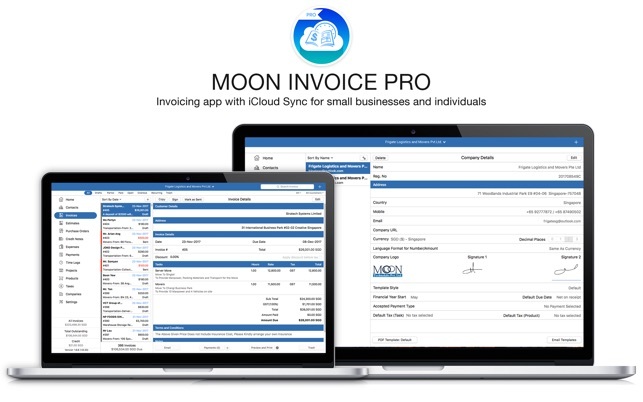 Moon Invoice lets you know when recurring invoice & expense becomes overdue, so you will never miss the payment! 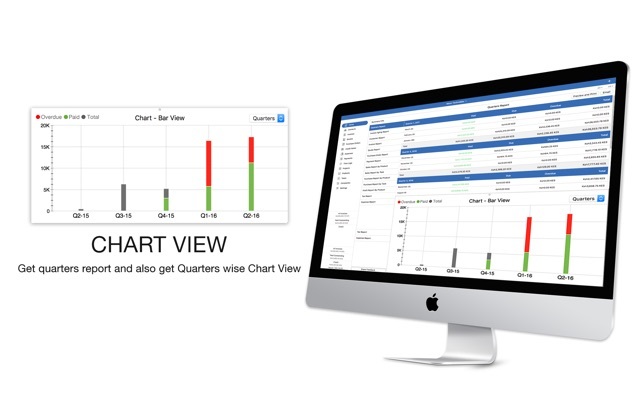 - The graphs/charts from Bar View let you know about your quarterly revenue & expense and invoices to be paid, that are overdue or drafted. - Moreover, reporting capabilities let you take the right decision at the right time for your business. 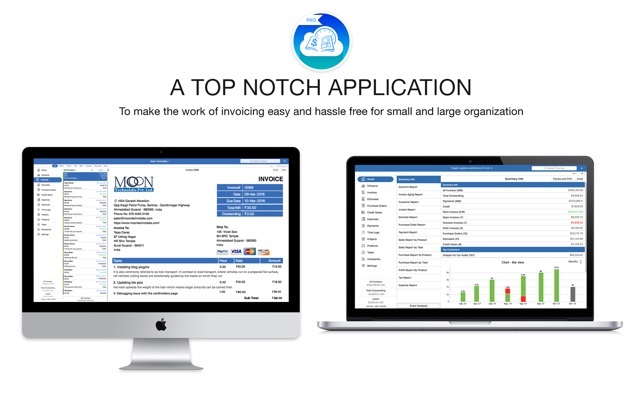 - Moon Invoice helps you import/export reports and details of customers, vendors, tasks, products/items and time logs on the go. 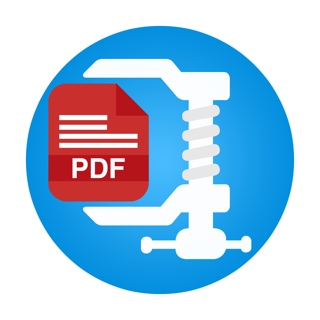 - In addition, the Print utility lets you take print from your device. 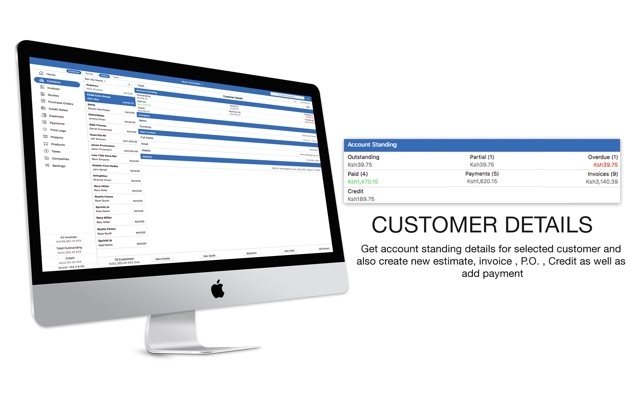 • Manage payment with multiple payment options; easy to generate payment receipt in PDF format. Also, get a benefit of PayPal button support! • Minor bug fixes and lots of improvements in the platform. • Improved performance for the express user-centric experience. This app looks very promising. The UI and user flow is well designed. However, two important features are missing. Design templates are based on the same layout structure with various cheesy background graphics - none looks professional. You can’t really customize the templates much except changing minor things like fonts and colors. The second missing feature is recurring invoice. 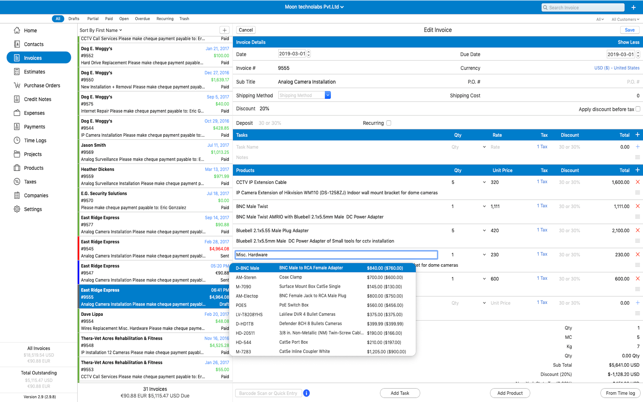 Billings Pro offers the recurring invoice feature which allows you to use the same invoice for mutltiple billings in set time intervals. For now, I’m sticking With Billings Pro. With developer’s help, I could find that little “Recurring” check box, which I missed the first time, to set an invoice as recurring. Thanks for that. The multitude control options under Settings tab is a big plus. Design template customization is still very limited. 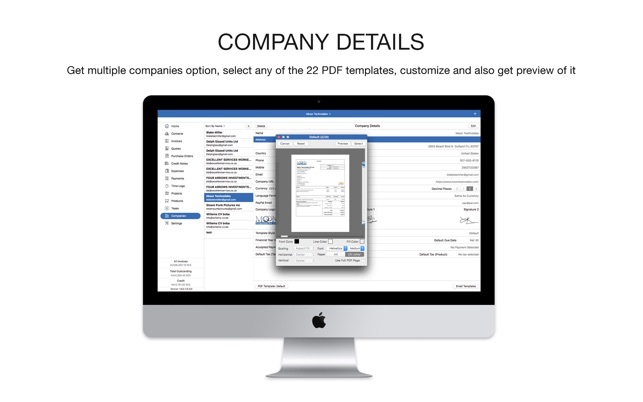 As suggested by developer, under Company tab, user can select present PDF invoice templates and only can cutomize font and color. I would like to change the layout structure such as placing content blocks in different positions and controlling box borders. If customization function is enhanced hopefully in the next version release, I’ll be full fan of this app. So, I tried the free version of the software and it works…fine I suppose. it isn’t the sexiest user interface, but it gets the job done. I invoice for my freelance to different names/companies and so when I went to setup more than two or three companies to invoice from it asked for $20 to upgarde to that function. No problem, I figured it was worth it for the one time charge. Then I found out that in order for me to invoice clients FROM multiple companies it was another $20 fee. Then I went to the website for the company and found out that for $15 I could have purchased the entire suite without multiple charges of$20 just to unlock one extra feature. When I asked the company about it on their support page they have not responded at all. Nothing. So, the software is, okay. But I honestly feel a bit ripped off because I have alrady spent $20 which is $5 more than the full version on their website and I didn’t even get the full version with the in-app purchse. No support means that I am even more agnry about this “in-app” purchase. We are sorry to know about the confusion regarding the purchase options. We provide two variants for full version package, one with 1 company and second with multiple companies, both the variants will allow you to create unlimited Invoices. There are also monthly subscription packages available with the same variants. Please report your issue from the “Share feedback" option within the app so we can check the details and better assist you. Two Thumbs Up and a High Five! 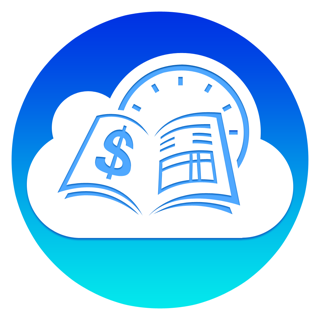 I used an established software package for invoices, billing, tracking costs, expenses, etc. for over 10 years. Then, they decided not to update their software for the Appple OS. What was worse, they wanted users to “rent” the software rather than own it. I was glad to read favorable reviews from Moon Invoice Pro. I do not have any regrets. It is much more flexible for my business needs and it is more “intuitive” than the application package of which I updated across 10 years. Stated differently, I am not paying for unnecessary features associated with a much larger company. I am quite pleased after a year of use that this application fits my small practice just fine. The office staff considers the software as an “intuitive” alternative to another vendor that is not as intuitive as one may suggest. My patients understand their invoices with all the necessary information, although Moon Invoice Pro allow me to add more “bells and whistles” if I desire. Thank you for your support! Let us know how we can make Moon Invoice even better by emailing us at support@mooninvoice.com.